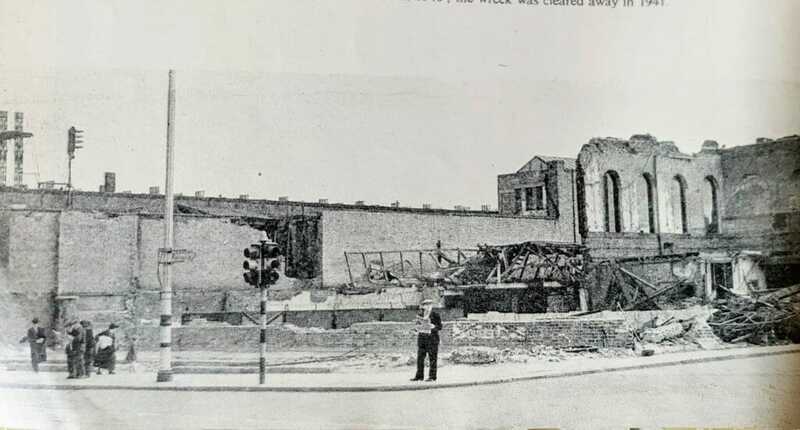 The first fighter in The Ring, Blackfriars Road, Southwark was the Rev. Rowland Hill, eccentric revivalist who had chosen for his opponent the Devil. He built his strangely shaped Surrey Chapel (its first name) in 1783, he built it so there were no corners within where the Devil might lurk and preached for nearly 50 years from a pulpit in the centre. 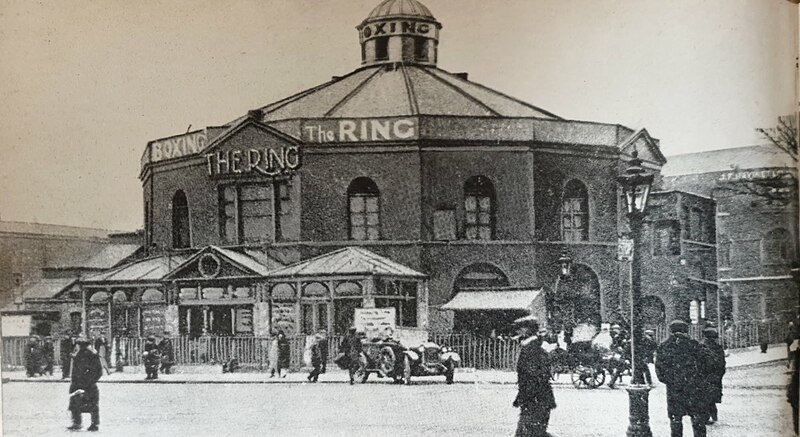 In 1910 a raised, roped-in enclosure took the place of the preacher’s stand, and was the scene of less ambitious contests between well-known and ‘prentice prize-fighters. The Ring was famous as the forcing ground of boxing talent. Spectators shouted their criticisms of fighters, or judge, or all three, in forcible English, but threw showers of “browns” (pennies) for a disabled man who had fought well. The Duke of Windsor, when Prince of Wales, joined these spectators one evening in 1928 with the late Harry Preston. Hitler attacked The Ring twice with bombs in 1940; the wrecked site was cleared away in 1941. These photos of WW2 bomb damage in London are from a collection of newspaper and magazine articles published in England just after the end World War Two. My late grandfather gave these to me as he knew I was interested in London history.